I use Canon's but it seems to be defective as it's made for AF. I would first make sure that the electrical contacts are clean. Also are you getting any error messages with the lens on? If the lens is defective, you may contact the seller and ask for a refund as well. I take it that stands for some error. Have you cleaned the electrical contacts on the lens? Try a pencil eraser to gently rub the contact free of any thin layer of corrosion. If you cleaned the contacts and are still getting that error message, then I'd assume that the lens is broken or at the least cannot communicate with the camera. I'd contact the seller, and explain things and ask for a refund. Make sure the aperture ring of the lens is rotated to the smallest aperture setting (usually f22 or f32). ziggy's got the likely culprit. 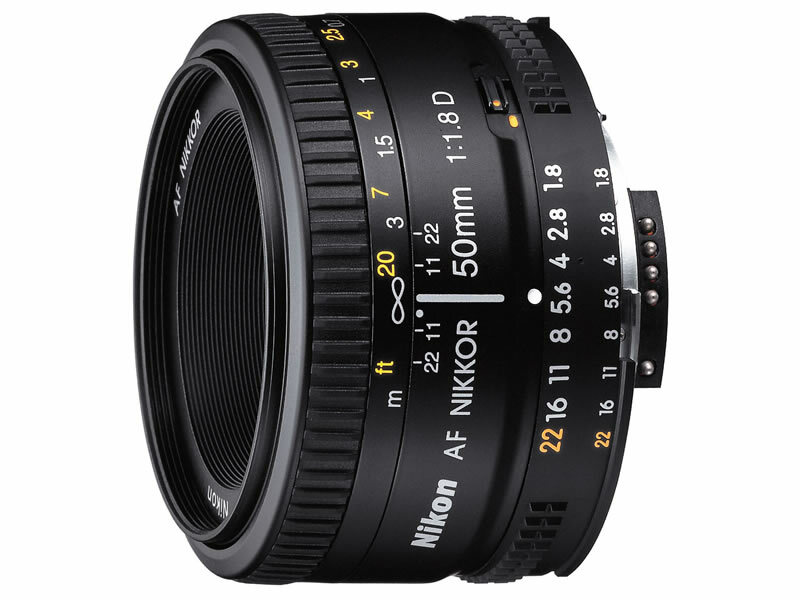 with non-G lenses, you have to set them to the smallest aperture to be able to use on newer nikon cameras. if this doesn't work; i'd encourage you to try it on another nikon camera to see if it's localized to your camera body. Make sure the lens is intended to autofocus on the D80. I own a D40 and I know to do my research because some lenses won't autofocus on my camera. I usually see something like "Won't autofocus on D40, D40x, D80" in my research. Someone who knows Nikon better than I do can correct me if I'm wrong, but this might be the case here. Why not just ask the seller to refund money? ?....you should get it all back except S/H both ways......hopefully you paid thru paypal.....and if the seller gives you grief then contact ebay and paypal. If Ziggy didn't nail it. Art did. Okay...now the camera fires, but still won't AF. I don't want to ask for a refund until I'm absolutely sure it's the lens and not the incompatibility with the camera. 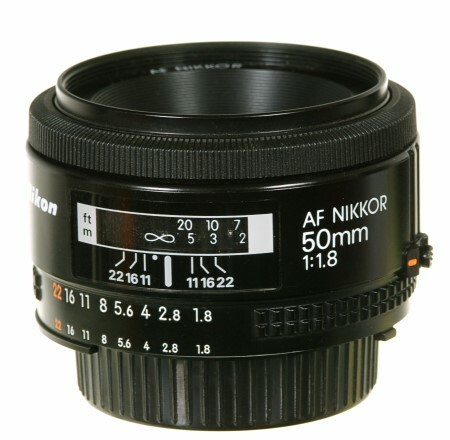 My reasoning--I purchased the lens understanding the AF 50mm 1.8 would work on the D80, the seller didn't tell me this, I harvested the info from the Rockwell website. Now I just need someone with the same lens mounted on a D80 tell me the AF works with theirs and then I'm pretty sure, this lens is pouched. If it's my mistake I'll take the hit, if it's the seller, I'll try and get a refund. If the lens has an "M/A - M" switch, make sure the switch is set to "M/A". If the lens has an "A - M" switch, make sure the switch is set to "A". Make sure the Focus-Mode selector on the camera is set to "A". The AF 50mm 1.8 would work on the D80. If you are having problems after making sure it and the camera are set to auto and all the points are clean, then get a refund. Okay the camera was set on 'M' this is the toggle switch lower left almost below the lens on the camera body. When on 'M' the camera will fire everytime and when I focus manually there is no drag on the lens focus ring. Now I switch to 'AF' and there is considerable drag on the lens focus ring and the camera will only fire intermittently while spinning the focus ring. Either mode the lens will not auto focus. Did you raise the aperture back up? If you're trying to auto focus indoors at f/22 the poor thing can't get enough light to focus. Try opening it to f/4 or better and try again. If the focus ring is 'jivin then the camera is starting to warm up to the lens. Note: The 'considerable drag' is the difference between a screw focus and the new 'Silent wave' or whatever it's called lenses. It should have about the same speed, just sounds like it's towin' a small boat while focusing. "Your decisions on whether to buy, when to buy and what to buy should depend on careful consideration of your needs primarily, with a little of your wants thrown in for enjoyment, After all photography is a hobby, even for pros." http://www.nikonians.org/html/resources/nikon_articles/other/compatibility.html the D80 will autofocus with AF, AF-D, AF-I, AF-S, and G lenses. Is there a switch on the lens by any chance, and fwiw, the camera is set for AF as well? Do you have a local camera store that would let you test the lens on a camera? Nothing I try makes any difference. I'm going to reserve judgement on both the seller and the lens until after I get absolute evidence of who or what is at fault here. Here is a plug for purchasing from a local camera dealer--this is the reason I ALWAYS give the local guy the business when purchsing big ticket items, if of course things are equal or even if there not, providing the spread isn't ridiculous, yes I'm talking dollars. I still purchase locally. Now I can take my gear up to him (Henry's in Oakville), try to explain my stupidity, ask him to show me the reasons why the lens is not working and not feel like I need to pay for or purchase something for his service. I can't say enough about building a good relationship with your local dealer. I won't be able to get to Henry's until late tomorrow...keep any eye open for an update. There is a F/S post right here http://www.dgrin.com/showthread.php?t=107070 which states the D40/D80 DON'T have internal AF motors. Would this be my problem? The "considerable drag" you felt when trying to turn the focus ring in automatic mode would be you turning the autofocus motor in the camera (I believe the D80 does have a motor, the D40 and D60 do not) which is not really a good idea. As this lens is not an AF-S lens then it can either focus automatically, in which case it is always hooked up to the camera's motor and you shouldn't turn the focus ring yourself, or it can focus manually in which case you will have to turn the focus ring manually. This is decided by the focus switch on the camera. From your quote I'm not sure whether in AF mode you are spinning the focus ring or the camera is. If the camera doesn't spin the focus ring for you when you depress the shutter half way then it suggests that either the lens or the motor in your camera is duff. Hopefully your camera shop guy will be able to tell you which it is (probably by trying it with another lens/camera). However given that you have felt drag when turning it manually, it suggests that the focus ring is mechanically connected to the focus motor, in which case my money would be on the camera being the problem. If the camera is spinning the focus ring for you then it sounds like everything is working fine and the camera is just having trouble focusing either due a lack of light or a lack of contrast under the autofocus point. I imagine your camera is set to not take pictures in automatic focus mode if the camera hasn't found focus. It's the D40/D60 that don't have the internal AF motors. See http://www.nikonians.org/html/resources/nikon_articles/body/chart/nikon_dslr_chart.html and scroll to the right, the D40/60/80 are next to each other, so you can can compare easily by leaving the 80 at the edge of the window and scrolling down to compare. The camera is pouched.....just got back from Henry's where they worked on it and tried everything. The camera will not AF the 50mm I just purchased and now, it won't even AF any of my lenses. The camera is only 10 months old...oh well at least it's under warranty. Thanks for all the input....much appreciated. Bummer on the camera being toast, but fortunate that it was in warranty. Do you know if they tried the two button reset, or the button on the bottom of the camera reset as one of their solutions? If you shot with the D80 and maybe other Nikon(s), you probably should know this. Thanks to everyone who took the time to help me. Also remember that you always have to keep the lens in f/22 to use it on the body. Or you will get the EE code. I didnt notice if that had an apterture lock on it or not. If it does lock it. I forgot to and was having kittent till I realized that it wasnt at f/22.